Don’t let the title fool you. 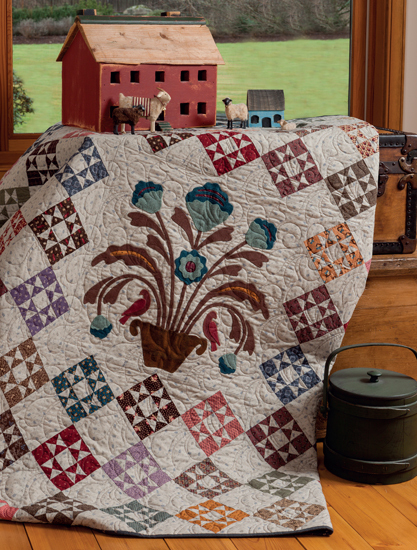 I know you may be thinking modern quilting is in; country quilting is out. However, I think the applique patterns inside this book are more Jacobean than country. Could it be that because the authors, Leonie Bateman and Dierdre Bond-Abel are from Australia and I am from the U.S. that we think a little differently and so my take on this book is a little different from theirs? Perhaps! 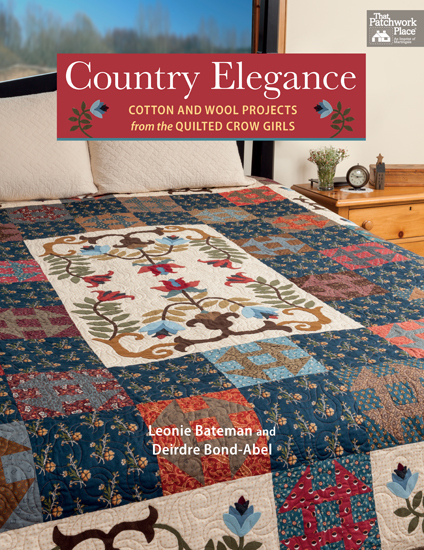 In this book you will find lap quilts, table runners, a pillow, framed applique, a wall hanging and more. 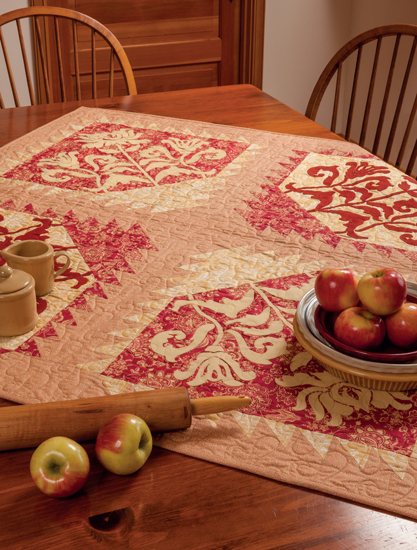 I have yet to try wool applique, and I think this book has finally talked me into trying it. 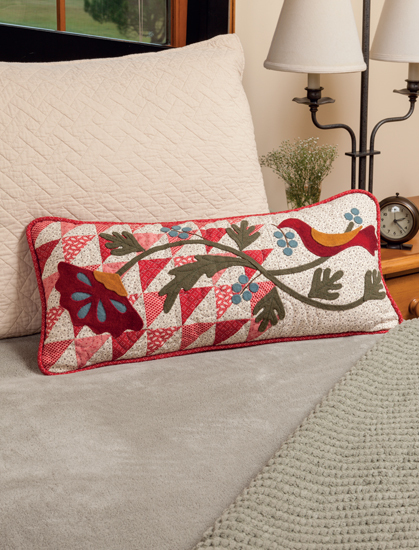 Instructions are clear-cut and easy to follow, to include reverse applique. So what do you think of the following design? This is my favorite project in the book. Here’s something small to start with. 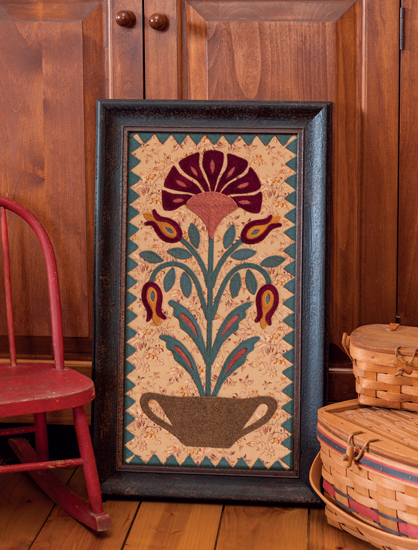 See the reverse applique in the flowers of the following 2 designs? How about this one? I like the simplicity of this one with basically 2 colors/hues. You can find more about this book at Martingale’s website here.